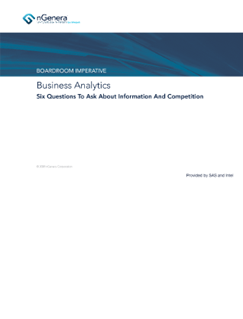 This paper, based on research by nGenera Corporation, provides answers to six key questions that executives should be asking about how to use business analytics to improve performance and compete successfully -- from "Where should we leverage business analytics?" and "What's the payoff?" to "What kinds of people do we need?" and more.